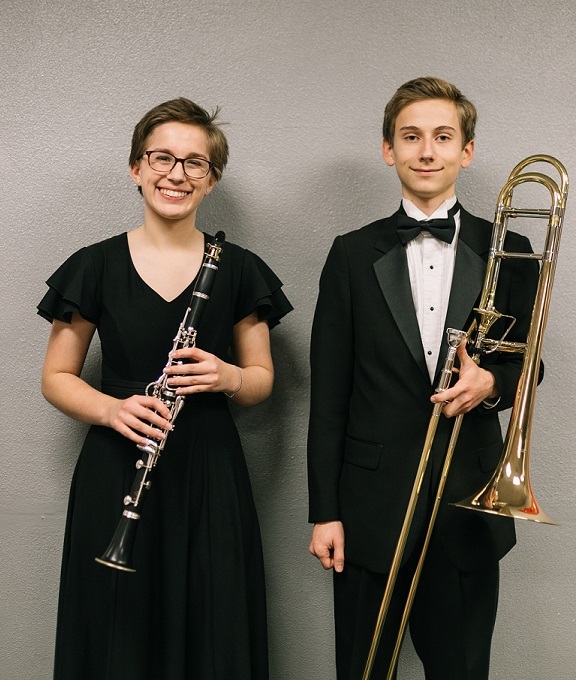 The Mount Si High School (MSHS) Music Department proudly announced this week that MSHS Band Students Mary Piekarczyk (clarinet) and James Kolke (trombone) had auditioned and been accepted to the Washington Music Educators Association (WMEA) All-State Concert Band. 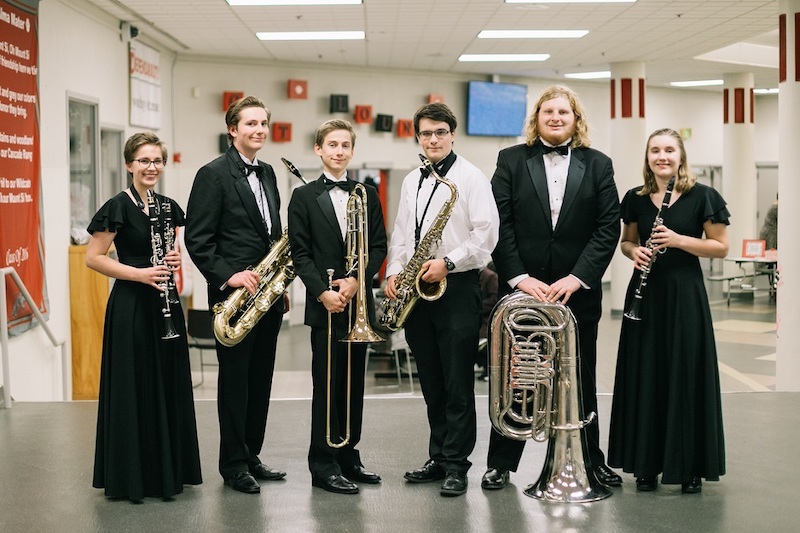 Select high school music students from across Washington State have received top honors to participate in one of the 2019 WMEA All-State performing groups. Mary and James will represent Mount Si High School, joining the other outstanding high school student musicians in this prestigious event. The WMEA All-State Concert Band, Symphony Orchestra and Symphonic Choir will meet in Portland, Oregon February 15th-17th at the All-Northwest Conference. 1,870 students applied for this opportunity. Those selected will rehearse and perform in concert under the direction of world-renowned conductors. The WMEA All-State event at the All-Northwest Conference is sponsored by the Washington Music Educators Association. Many professional musicians credit their All-State experience as crucial in their decision to choose music as a career. Thousands of honorees whose career paths took them in other directions have great memories of participating in this inspiring and motivating musical event and claim that it was a life changing experience. Additionally, several MSHS band students were selected through audition to perform at the Western International Band Clinic (WBIC) Conference as part of the WBIC Honor Bands. The students included clarinetist, Mary Piekarczyk; baritone saxophonist, Elijah Wray; trombonist, James Kolke; tenor saxophonist, Ryan Myrvold; tuba player, Erik Thurston and clarinetist, Hannah Stoddard. WBIC, founded in 1979, is a highly regarded convention for directors and students in the Western United States. This year’s conference was held in Seattle on the weekend of November 16th-19th. The event featured four high school honor bands, performing under six world-renowned guest conductors and a soloist. Mary Piekarczyk, clarinet; Elijah Wray, baritone saxophone; James Kolke, trombone; Ryan Myrvold, tenor saxophone; Erik Thurston, tuba; and Hannah Stoddard, clarinet.